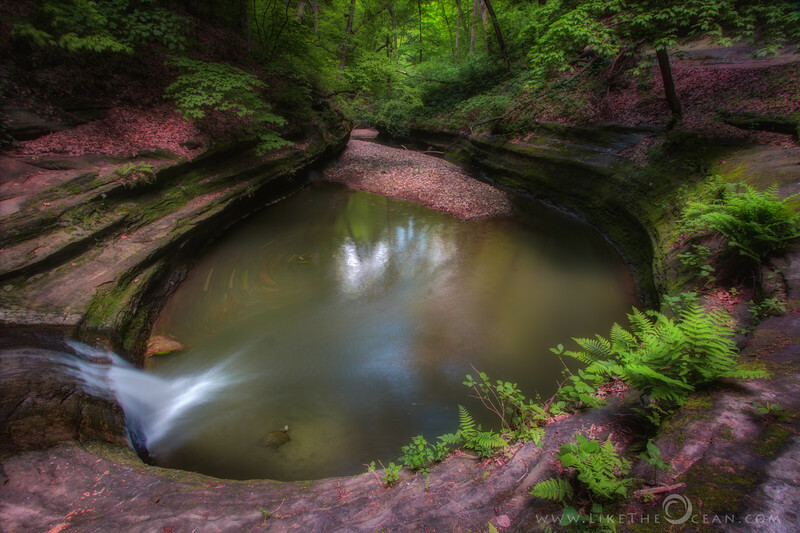 Illinois' Starved Rock State Park is just south of I-80 about 90 miles west of Chicago near the town of LaSalle. Small streams have carved a number of small and interesting canyons into the sandstone. Seasonal waterfalls can be found all around these canyons, if you hike up just at the right time.